The ESP prosthetic disc is the result of 10 years of collaborative research work at the Hôpital Pitié Salpêtrière in Paris, French Alternative Energies and Atomic Energy Commission (CEA) and the Université Paris VI, and was driven by the Oséo Innovation contest in France. 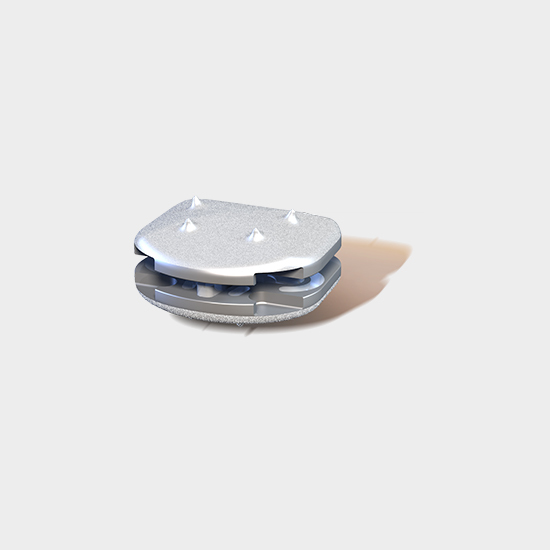 The LP-ESP prosthesis helps to reduce pain, restore the lumbar curvature and achieve near-normal disc function. The stiffness of the deformable core resembles that of the native intervertebral discs. This stiffness is due to a flexible polycarbonate urethane cushion and a silicone nucleus loaded with compressible beads. This flexible cushion, attached to the two metal end plates, provides the disc with its shock-absorbing function and limits the release of particles into the body and the calcification of deformable parts. The LP-ESP has spikes that ensure primary fixation to the vertebrae being treated. A hydroxyapatite coating over a rough, porous underlayer of T40 pure titanium allows for effective secondary fixation. 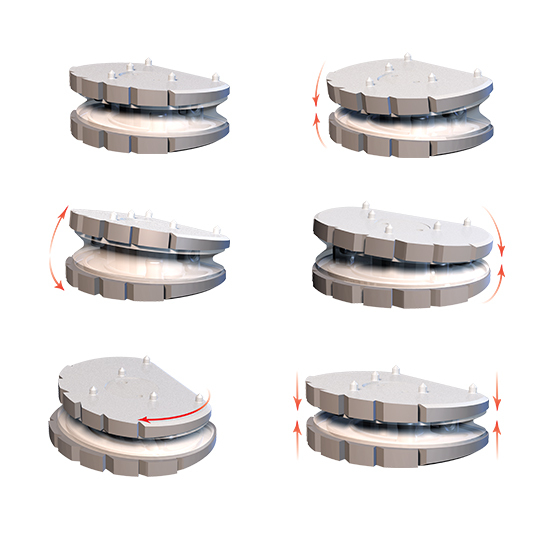 Ribs on the metal end plates transform the rotational movements between the two plates into compression and traction of the inner deformable core. Lazennec, J.Y., et al., Clinical outcomes, radiologic kinematics, and effects on sagittal balance of the 6 df LP-ESP lumbar disc prosthesis. Spine J, 2014. 14(9): p. 1914-20. Lazennec, J.-Y., et al., The LP-ESP Lumbar Disc Prosthesis: Concept, Development and Clinical Experience. Arthroplasty – Update. 2013. 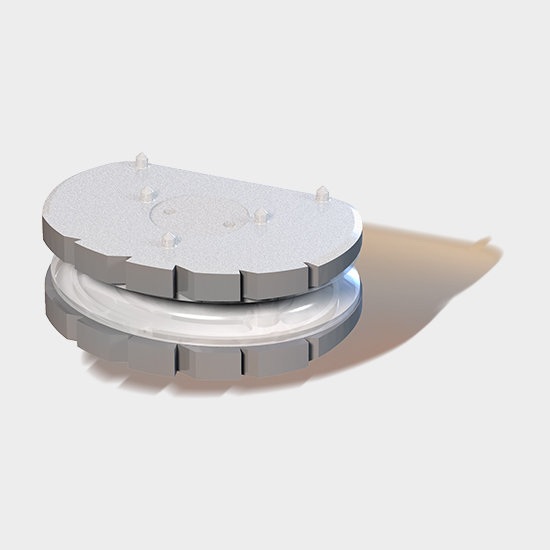 Lazennec, J.Y., et al., The LP-ESP((R)) lumbar disc prosthesis with 6 degrees of freedom: development and 7 years of clinical experience. Eur J Orthop Surg Traumatol, 2013. 23(2): p. 131- 43.